DENVER Walt Weiss is making the rare jump from the high school dugout to the big leagues, having been hired on Wednesday as the new manager of the Colorado Rockies. The former major league shortstop replaces manager Jim Tracy, who resigned Oct. 7 with one year and $1.4 million left on his contract rather than return to a club where its assistant general manager had moved his office into the clubhouse. 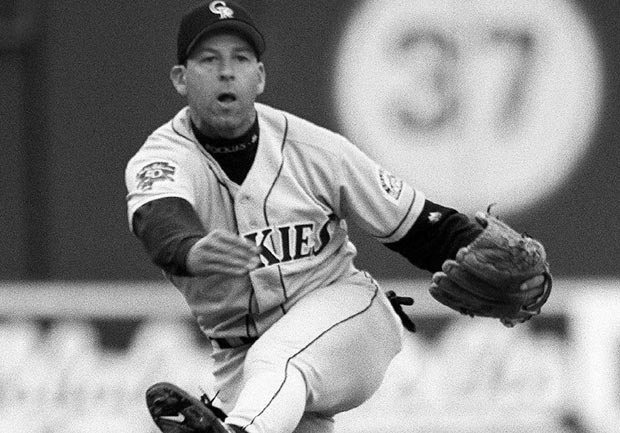 Weiss, the 1988 American League Rookie of the Year with Oakland, played shortstop for the Rockies from 1994-97 and was a special assistant to general manager Dan O'Dowd from 2002-08. Last season he coached Regis Jesuit High School outside Denver to a 20-6 record and the 5A semifinals of the state championship. A team spokesman said Weiss would be introduced at a news conference Friday at Coors Field. Weiss and Arizona coach Matt Williams were the finalists to replace Tracy, who quit following the worst season in franchise history. Rockies bench coach Tom Runnells and first baseman Jason Giambi also interviewed, with Giambi saying he would retire as a player if he got the job. The 48-year-old Weiss spent parts of 14 seasons in the major leagues, also playing for Oakland (1987-92), Florida (1993) and Atlanta (1998-2000). A .258 career hitter, he was an All-Star in 1998. CBSSports.com's Danny Knobler says the Rockies are following the latest trend of big league teams hiring skippers with no MLB managing experience: the White Sox hired Robin Ventura and the Cardinals tapped Mike Matheny last season. While those hires worked out, Knobler wonders if the trend will continue to be successful. "Managing a big-league team is a tough job, much tougher than Ventura and Matheny made it seem," Knobler writes. "Hiring a guy with absolutely no professional managing or coaching experience is as nuts as Ventura thought it was when the White Sox first approached him for the job."